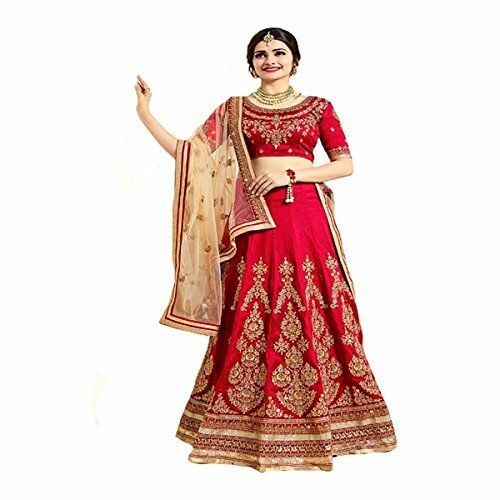 This is a semi stitched Lehenga with Designer New Pattern Blouse and can be stittch for size S,M,L,Xl(from bust size 28 inch to 42 inch). This dress require stitching before you wear. STITCHING SERVICES:All our collections are semi stitched and it will require stitching before you wear the dress.You can do the stitching locally or if you need stitching do contact us. We charge 25--40 USD / dress for stitching based on design and it take 3-7 additional days.We will send you measurement chart to fill in your measurements.Once we stitch the dress it is not refundable or returnable & we make the dress ready as per your measurements. We provide combined shipping & support bulk orders. We are a Leading exporter to 140 countries. If you have any questions about this product by ETHNIC EMPORIUM, contact us by completing and submitting the form below. If you are looking for a specif part number, please include it with your message.